You are at:Home»Categories»Commentary»Who are the Turkish Cypriots? In Northern Cyprus, a person could answer the question in the headline by saying that “Turkish Cypriot” does not only define their identity but also their political belonging. If someone says “I am a Cypriot Turk,” they are emphasizing their Cypriotness but also underlining their Turkish identity: First a Cypriot then a Turk. If they say “I’m a Turkish Cypriot,” they are emphasizing their Turkish identity, with Cypriotness coming second. The first is a left-inclined non-political citizen of Northern Cyprus, while the second one is a more conservative but still non-political description of identity. If someone says “I’m a Cypriotturk,” uniting Cypriotness with Turkishness, they are most likely a leftist, politically active person who does not want to compromise on their Cypriotness simply because they are an ethnic Turk. This makes them different from their “Greekcypriot” comrades. 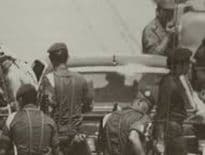 Even if one knows nothing about the political tendencies of Turkish Cypriot political parties, associations, labor unions, TV stations, radio stations and newspapers, looking how they describe themselves or write their reports, statements and news bulletins is enough to deduce their political affiliations. As for Turkey, Turkish Cypriots are just Turks. Their Cypriotness is nothing but a geographical description of where they live. The late Rauf Denktaş more or less shared this opinion, though for the majority of Turkish Cypriots it has never been the case. 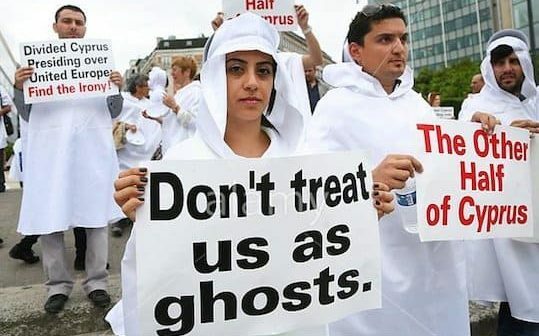 Unlike in Turkey, religion has never been a major issue in the description of identity in Turkish Cyprus, even though almost all Turkish Cypriots are Muslims. In contrast, almost all Greek Cypriots are Greek Orthodox and the Cypriot Church has been at the center of almost for everything for many Greek Cypriots. Up until recent times, the office of the mufti of Northern Cyprus was either empty or pushed to a secondary non-political position by a predominantly secular society and governance. Why? 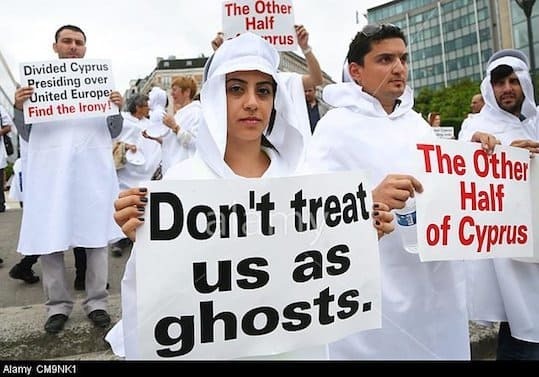 Probably because most Turkish Cypriots were originally Alevis or Bektashis who converted to Sunni Islam mostly out of convenience, while in private continuing to live older traditions including pagan cultural elements that transcend the centuries. Anyway, in sum the multi-ethnic, multicultural, religious richness of the island has produced a largely secular world view in Northern Cyprus, which is strangely far more consolidated than it is among Greek Cypriots. Despite all their differences and their many decades of animosities, there are many commonalities between the two people of the island. Both love arguing and challenging each other’s position and they can heatedly argue for hours. But this very rarely ends in a violent confrontation; most often they end the tussle by raising glasses at a bar or having a coffee at a café. 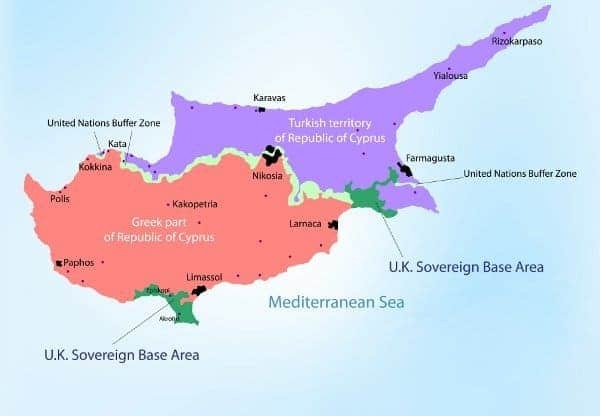 So can Turkish Cypriots be “dependent” on either the “sovereign” Greek element of Southern Cyprus (which has in the past tried to exterminate it), or on Turkey, which has not only passionately embraced it but has also tried to assimilate and eradicate the “Cypriot” part of its identity? The Turkish Cypriots are successors of the Turkmen nomads. Because of the relatively remote conditions of the island they have been able to maintain their past culture, language and religious characteristics. Not least among these characteristics is the respected place of women in society, which contrasts markedly with the more heavily Arab-influenced patriarchal conservatism of Anatolia. 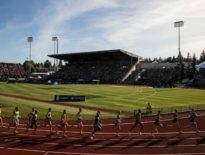 Next Article Justice Department Solicits Information Pertaining to FIFA, I.O.C. and U.S.O.C.